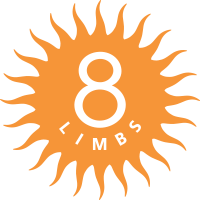 8 Limbs Yoga | Bike to Work Month – Undrive! 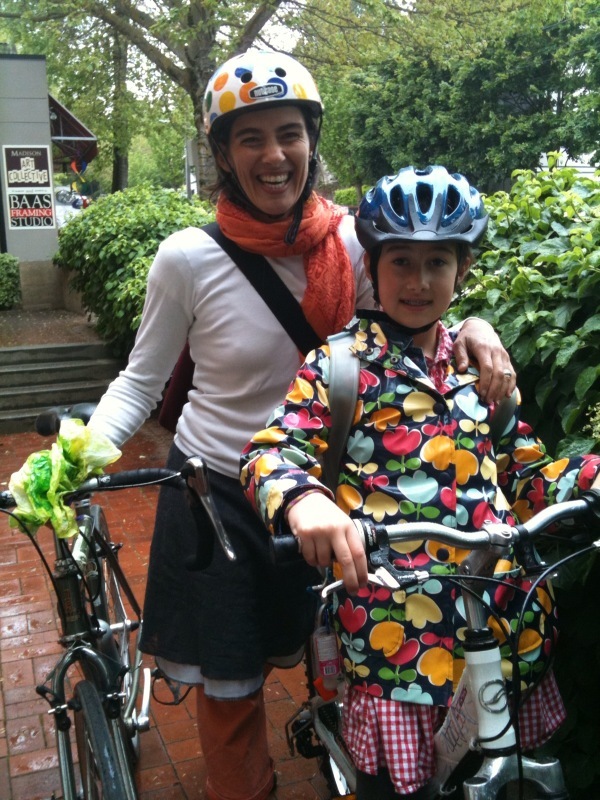 Bike to Work Month – Undrive! 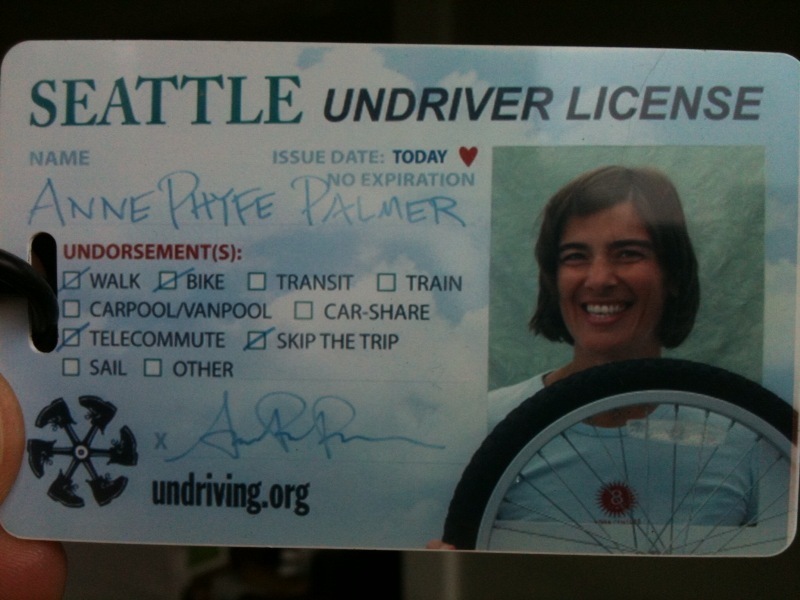 Ever since I got my Undriver License I have been meaning to blog about the non-profit group that is licensing people to STOP DRIVING. May is Bike to Work Month so, though it’s late, it’s time! I met the Undriving folks at the Ballard Sustainability Festival in the fall of 2009, where I made an “Undorsement” to walk, bike, telecommute, or skip the trip at least 50% of the time instead of driving a car. My serious cycling days began when I was about 13 and took long rides under the oak trees in (flat) New Orleans. I loved it for the exercise but hardly thought of it as a commuting option. When I went to college in the cold mountains of Vermont, I got my first mountain bike and went carless for my first three years of college (yes, in the cold…I mastered the use of two wool scarves over everything but my eyeballs). Once settled in Seattle in 1993 I managed to get around town on my bicycle more often than not. In 2000, pregnancy and moving to Madison Valley put a bike wrench in my cycling habit. I just didn’t think the surrounding hills were surmountable, plus I was tired, and pregnant, and then had a baby to bring with me. The car became my main mode of transportation. This persisted for the most part until 2008, when my family moved out of our home to remodel. I lived in a home with an easier bike ride to work, and thus I shifted from driving everywhere to biking whenever possible. My Undorsement was to not drive 50% of the time. I have had weeks of 100%, but have held to at least 50% since then. Check out the video a local documentary student at UW made for Undriver about my story back to the bike, even with kids, an uphill commute, and a busy life. We made it to inspire you to make the extra effort and UNDRIVE!